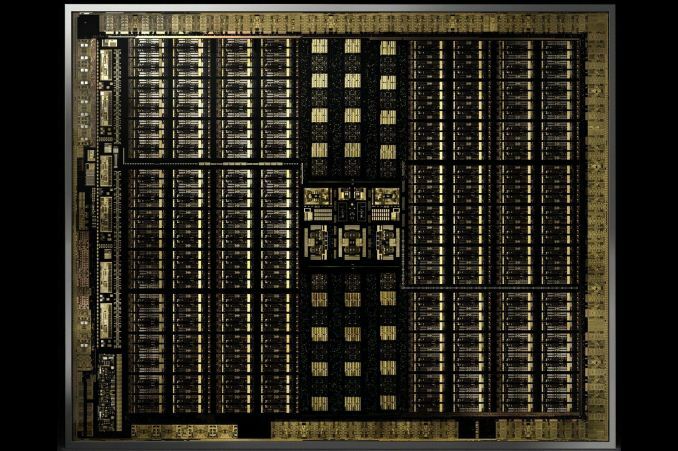 It’s been roughly a month since NVIDIA's Turing architecture was revealed, and if the GeForce RTX 20-series announcement a few weeks ago has clued us in on anything, is that real time raytracing was important enough for NVIDIA to drop “GeForce GTX” for “GeForce RTX” and completely change the tenor of how they talk about gaming video cards. 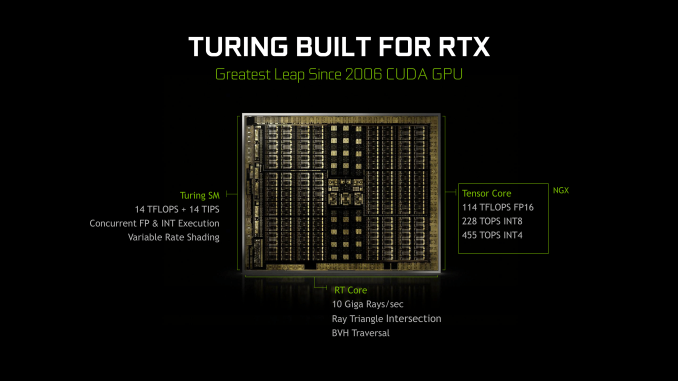 Since then, it’s become clear that Turing and the GeForce RTX 20-series have a lot of moving parts: RT Cores, real time raytracing, Tensor Cores, AI features (i.e. DLSS), raytracing APIs. All of it coming together for a future direction of both game development and GeForce cards. While we can't discuss real-world performance until next week, for real time ray tracing it is almost a moot point. In short, there's no software to use with it right now. Accessing Turing's ray tracing features requires using the DirectX Raytracing (DXR) API, NVIDIA's OptiX engine, or the unreleased Vulkan ray tracing extensions. For use in video games, it essentially narrows down to just DXR, which has yet to be released to end-users. The timing, however, is better than it seems. A year or so later could mean facing products that are competitive in traditional rasterization. And given NVIDIA's traditionally strong ecosystem with developers and middleware (e.g. GameWorks), they would want to leverage high-profile games for ringing up consumer support for hybrid rendering, which is where both ray tracing and rasterization is used. So as we've said before, with hybrid rendering, NVIDIA is gunning for nothing less than a complete paradigm shift in consumer graphics and gaming GPUs. And insofar as real time ray tracing is the 'holy grail' of computer graphics, NVIDIA has plenty of other potential motivations beyond graphical purism. Like all high-performance silicon design firms, NVIDIA is feeling the pressure of the slow death of Moore's Law, of which fixed function but versatile hardware provides a solution. And where NVIDIA compares the Turing 20-series to the Pascal 10-series, Turing has much more in common with Volta, being in the same generational compute family (sm_75 and sm_70), an interesting development as both NVIDIA and AMD have stated that GPU architecture will soon diverge into separate designs for gaming and compute. Not to mention that making a new standard out of hybrid rendering would hamper competitors from either catching up or joining the market. But real time ray tracing being what it is, it was always a matter of time before it became feasible, either through NVIDIA or another company. DXR, for its part, doesn't specify the implementations for running its hardware accelerated layer. What adds to the complexity is the branding and marketing of the Turing-related GeForce RTX ecosystem, as well as the inclusion of Tensor Core accelerated features that are not inherently part of hybrid rendering, but is part of a GPU architecture that has now made its way to consumer GeForce. 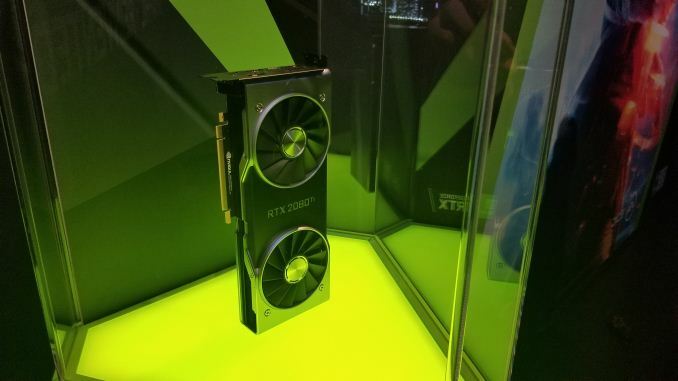 For the time being though, the GeForce RTX cards are not released yet, and we can’t talk about any real-world data. Nevertheless, the context of hybrid rendering and real time ray tracing is central to Turing and to GeForce RTX, and it will remain so as DXR is eventually released and consumer-relevant testing methodology is established for it. In light of these factors, as well as Turing information we’ve yet to fully analyze, today we’ll focus on the Turing architecture and how it relates to real-time raytracing. And be sure to stay tuned for the performance review next week!